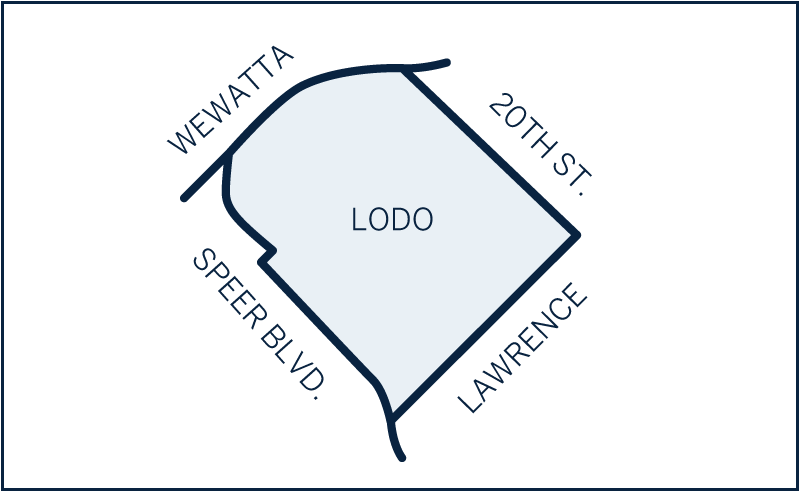 “LoDo” is the shortened name of “Lower Downtown” and is a popular Denver neighborhood full of history. Once nearly abandoned, the LoDo Historic District was formed in 1988 in order to stop demolition of old buildings in the area. More than 100 buildings are now deemed historic and zoning restricts building heights to maintain its historic and industrial allure. Now home to Coors Field, Larimer Square, and Union Station, LoDo is a bustling place of activity. Union Station and the surrounding area serves as a public transportation hub, with numerous hotels, office buildings, restaurants, retail, and housing. Old warehouses have been converted into lofts, while new innovative buildings and some of the best retail and restaurants on the Front Range call LoDo home. An attractive place to live, work, and play it draws young professionals and empty-nesters alike. Bottom line – LoDo is a neighborhood filled with things to do! Here you’ll enjoy coffee shops, museums, and art galleries, all within easy walking distance to light rail, and every major league sporting event Denver has to offer. There is also development underway at the West Lot near Coors Field, which will transform the area into a year round destination for sports, shopping, dining, and nightlife.